Join us in saying no to the single-use plastic straw and encourage those around you to do the same! It might sound too little to really make change, but ditching the single-use plastic straw is a positive movement in the right direction and does make a difference. You can start with this movement and can go from there trying to eliminate single-use plastic usage. Just the U.S. alone uses over 500 million straws a day and many of those end up in our oceans, polluting our water and harming ocean life. Human error is the primary reason these plastic products end up in our ocean. Since straws are very lightweight, mechanical recycling sorters will often miss them. Most will then end up being disposed of as garbage. 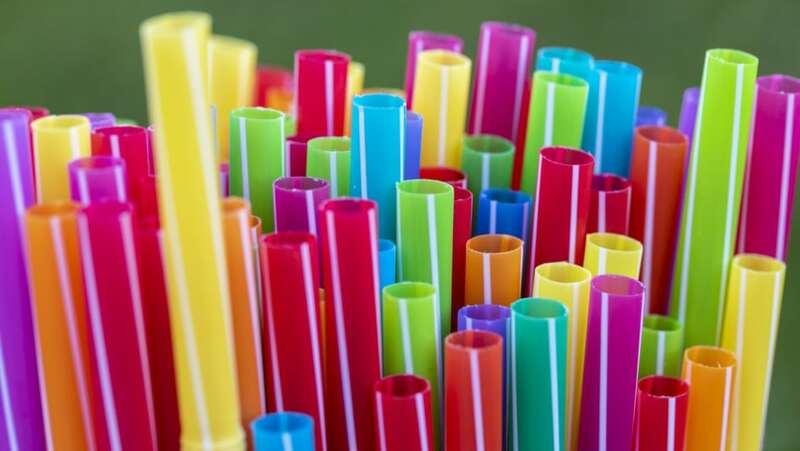 It takes roughly 200 years for straws to break down, but will not biodegrade completely. They break down into microbeads which are just as harmful to oceans and ocean life as plastic pollution itself. There are more eco-friendly straws out there if you do prefer to drink with a straw. There are bamboo straws, paper straws, steel straws, glass straws and reusable bottles with built-in straws. It’s time to ditch the use of unnecessary plastic and taking the stand to ditch the plastic straw is a great start. Join us in saying no to the single-use plastic straw and encourage those around you to do the same! I NEVER use straws of any kind. Why do I need a little tube to deliver my drink to my mouth? Drink from the edge of the glass. Ditch straws and plastic bags!